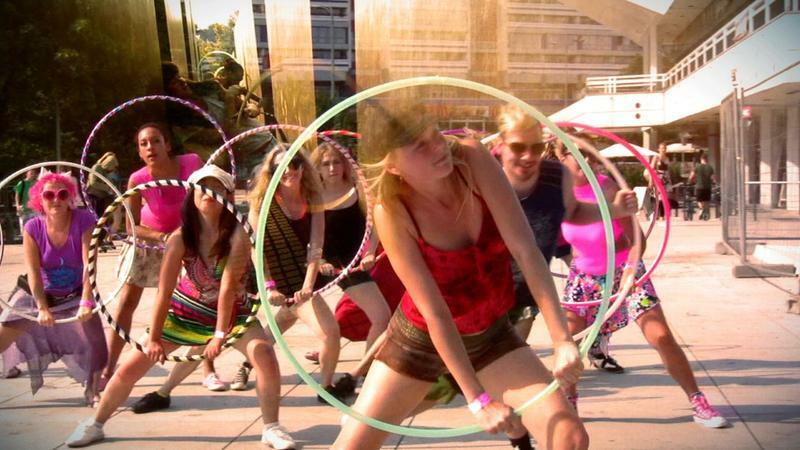 The most important part of the HOOPURBIA story is Beka Hoop aka Rebecca Halls' vision of HOOPURBIA as a replicable, sustainable event model that will blast the beloved art form of hooping into the future. How? First off, by intentionally connecting to other renowned artists in dance, music, fashion & video. Secondly, by paying teachers and performers to participate. 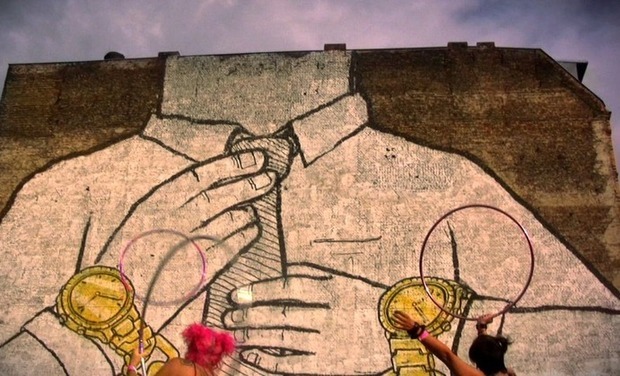 Hooping and hoop dancing won't be fully recognized if we keep giving away our talents. THAT MEANS: by supporting HOOPURBIA you are not only supporting cutting edge interdisciplinary dance-music-film, but also the professionalization of the art of hoop dance and the future of hoop dance. In 2012, HOOPURBIA happened in BERLIN. In 2013, it could happen anywhere, from Tokyo or Helsinki to Melbourne or Chicago. Help us grow it. 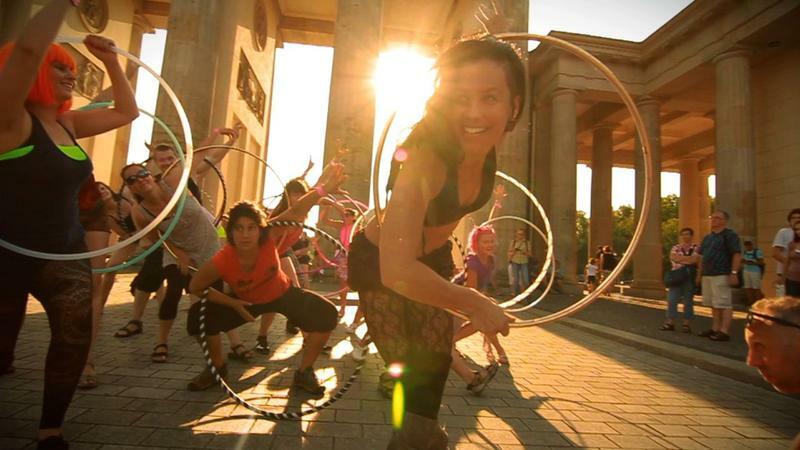 WHAT: The first edition of HOOPURBIA was a three-day event in July 2012 that brought many of the world's top hooping talents to Berlin, to create and film a site specific structured improvisation inspired by the wild spirit of this city. Workshops, hooping flash mobs, site specific performance, dance parties, a high caliber, performance showcase and a screening of The Hooping Life to round out the weekend. Short dance for camera pieces of HOOPURBIA 2012 video will be shared with millions of viewers through our network of musicians, video and filmmakers, and hoopers around the globe. Potsdamer Platz, Brandenburger Gate, Schlesiches Tor, Arawe Temple. WHO: Internationally reknowned performers and teachers include: Beka Hoop (CAN), Gail O'Brien (UK), Geoffrey Szuzkiewicz (CAN), Henna Matahoops (FIN), Lena Schmidt (DE), Malcolm Stuart (USA), Michele Clark (USA), & Spiral Hoop Dance (USA). Here's Malcom talking about Hoopurbia 2012. Here is Spiral talking about Hoopurbia & her creative process. Here's Geoffrey talking about Hoopurbia 2012..& hooping. In 2012, Hoopurbia will lead a group of 34 hoopers in a a hooping flashmob on the opening day of the Olympics at the Sony Centre, in Potsdamer Platz and a two day site specific structured improvisation and video shoot in various locations around Berlin with internationally acclaimed director Einar Snorri. 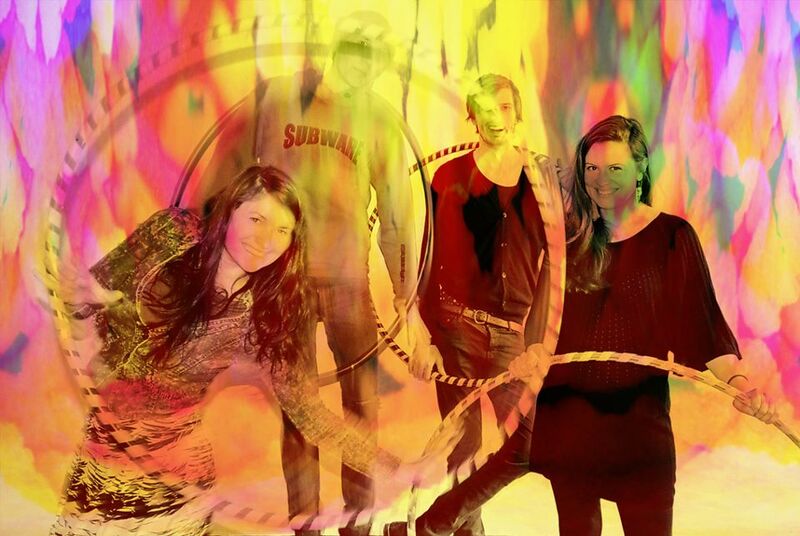 Music producers involved in Hoopurbia 2012 include Gentle People (DE), GusGus (ICE), HRDVISION (CAN), Human Woman (ICE), Johann Fanger (DE), Peter Bounce (DE), The Drifter (IRE), & Unnur Andrea (ICE). WHERE: 2012 workshops and creative development happened at the Wye, a creative hub in Berlin that provides residency opportunities, and quality cultural programming supporting artists contributing to the greater art world. The performance showcase and club night took place at Arena campus (famous for its pool, the Badeschiff, which floats in Berlin's Spree River). Both venues are located smack dab in the center of Berlin's coolest neighborhood, Kreuzberg. 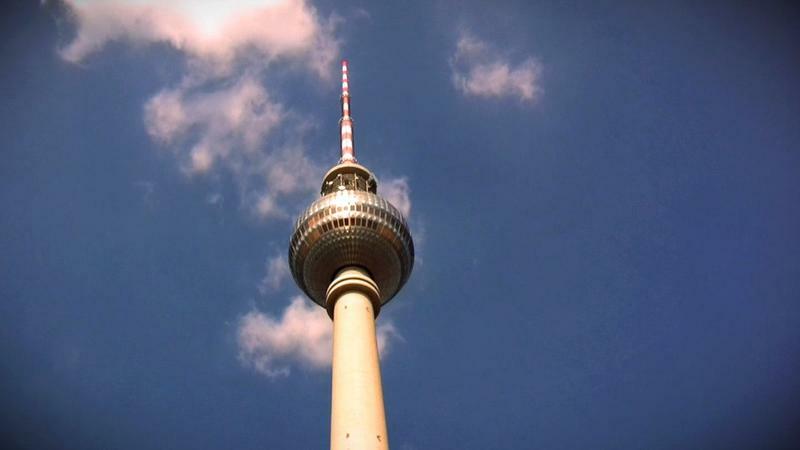 The video shoots feature the most thrilling backdrops of Berlin, including: the Spree River/Arena, Brandenburger Tor, Reichstag dome, Sony Center at Potsdamer Platz, the RAW Compound in Friedrichshain. AGAIN, Hoopurbia 2012 in Berlin is the first year of what we plan as an annual event that travels to a different city of the world each year, creating and continuing to develop site-specific choreography by collaborating with local music, video, and design artists. The new movement of movement art starts here and now! We were ecstatic to award the winning ticket to Sini Orvokki from Finland! Hosting the 2012 conference means renting our awesome location as well as flying in the talented teachers and collaborating artists and paying them stipends, which amounts to 20,000€. Please support hoopurbia, and tell your friends! You get our GRATITUDE! No small thing. 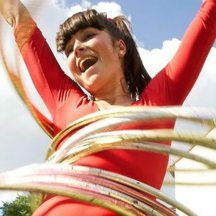 FREE HULA HOOP CLASS WITH BEKA HOOP HERSELF! WEDNESDAY SEPTEMBER 5th or WEDNESDAY SEPTEMBER 12TH. You get the official Hoopurbia poster and our GRATITUDE -no small thing. You get the official HOOPURBIA T-shirt (designed by Malcolm Stuart, sure to be a collectible!) and our GRATITUDE - no small thing. One to one SKYPE hula hoop workshop with Beka Hoop. Hoopurbia T-shirt, official Hoopurbia Poster, and our GRATTITUDE - no small thing. You are just DIVINE. 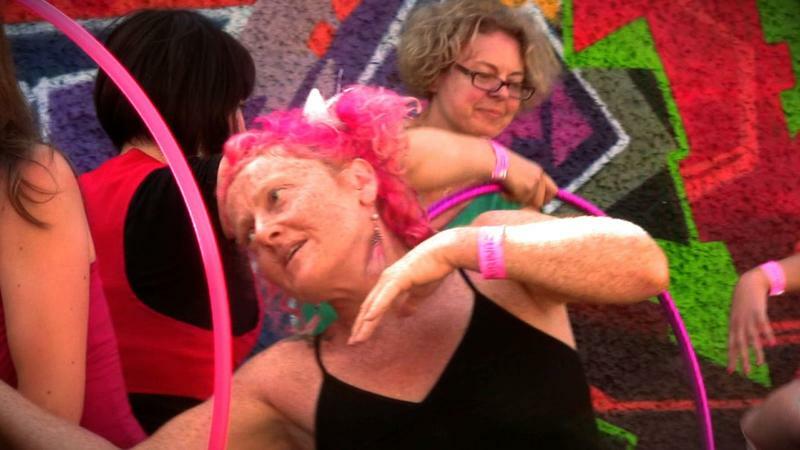 You get a hooping performance by Beka Hoop at an event of your choice, PLUS ONE all-inclusive pass to all hoopurbia events.